The project cost an estimated $33 million. The next time you're vacationing in the country that gave us Gong Yoo, take a stroll along this beautiful new public park called Seoullo 7017. 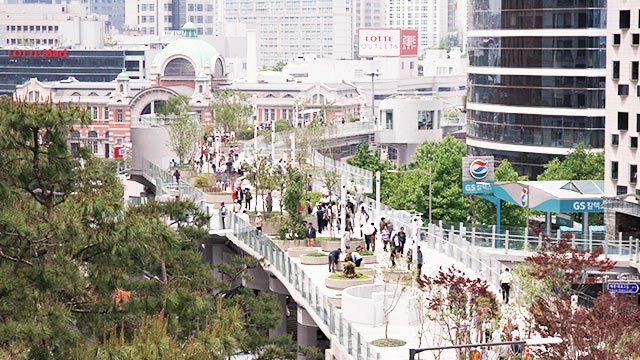 Formerly an overpass, Seoullo 7017 features 24,000 plants, adding more greenery into Korea's concrete jungle. The construction was funded by the local government and the estimated cost was around $33 million. Seoullo 7017 is part of an ongoing effort to make the city more pedestrian-friendly. And it just opened last May. Stretching 3,000 feet long, the public park features 254 species of local trees and flowers. And it's just as beautiful at night.